I was wondering if anyone has attempted to build a Morgan wally combination using only one arm. To try and explain better, the shoulder of the Morgan, so the original first section of the arm, and the forarm of the wally driving threw the elbow. I am planning something similar with the new Lilian Morgan concept. I am still in the planning phase, but will blog it’s development. Will you post parts overseas? Also can these be ordered for the 12mm smooth rod version instead? 12mm version: Good idea. I will add it as an option. I am just checking if you are shipping to overseas yet? I see the 12mm version is an available option now. I need new drivewheels, because those I have atm are scew and I can’t find the Parts button for “Click on the Parts button to the left. It will get you the parts you want…”. Please let me know where I can print them or buy them. I don’t make parts for the shop at the moment. It all depends on where you want to start. The original Morgan is much better documented, and most of the hard to get components are printable. Lilian, on the other hand, is the open source of the latest incarnation of the Morgan, and profits from the lightweight arms possible if the arm tubes used are carbon fibre. Lilian would be my choice if I have to build one of the two only, but they are both my children… cannot tell you which one I love most. Thank you for the reply. I have built 2 delta’s and 2 corexy printers. I keep on shifting the expensive parts between the printers as I enjoy learning about the different mechanisms on each printer. So at any given time I only have one functional printer. The SCARA model fancy my interest quite a bit and I would not mind going for the Lilian. I would however like to know if there is a BOM out for it or perhaps a forum where one could collaborate/share on the lilian. Worst case, I’ll go for the Morgan and be happy. I am afraid not a lot was done in terms of documentation for Lilian, but I have some photos that should make building it a bit easier. Other than that, use the original Morgan instructions as a guide in order to get an idea of the order or construction, and parts required. Lilian is an achievement build at the moment. 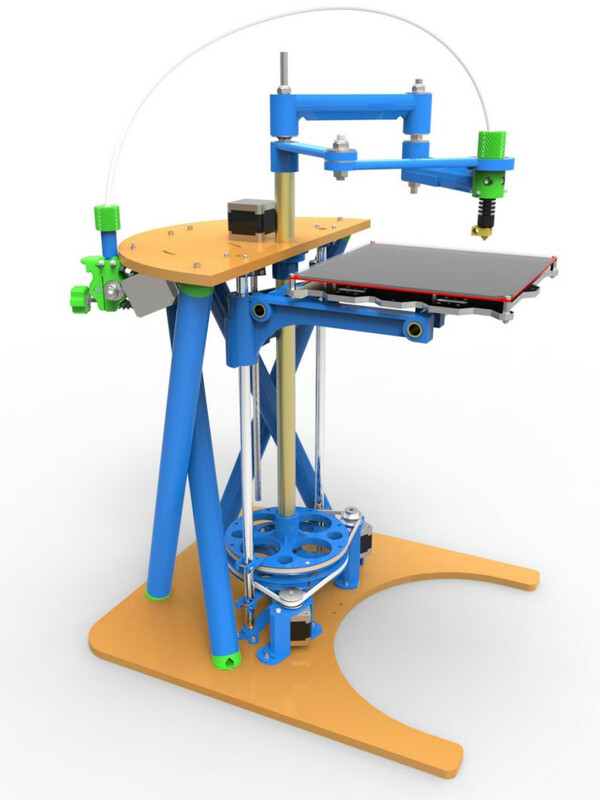 Is there any source files for the reprap morgan including stl files? Are you looking at building a Mega? Most of the components are the same as the Lilian model, except for the drive wheels, the frame supports and the top and bottom plates. I am working on the morgan designs again, and I will be consolidating all the design files in the next couple of weeks while we have our break at the factory.